The Blackbyrds was a rhythm and blues and jazz-funk fusion group, formed in Washington, D.C. in 1973. The group was led by trumpeter Donald Byrd and featured some of his Howard University students: Kevin Toney (keyboards), Keith Killgo (vocals, drums), Joe Hall (bass guitar), Allan Barnes (saxophone, clarinet), and Barney Perry (guitar). Orville Saunders (guitar), and Jay Jones (flute, saxophone) were later members of the group. They signed to Fantasy Records in 1973. They are best known for their 1975 hit "Walking in Rhythm", which received a Grammy nomination. The group was led by trumpeter Donald Byrd and featured some of his Howard University students: Kevin Toney (keyboards), Keith Killgo (vocals, drums), Joe Hall (bass guitar), Allan Barnes (saxophone, clarinet), and Barney Perry (guitar). Orville Saunders (guitar), and Jay Jones (flute, saxophone) were later members of the group. They signed to Fantasy Records in 1973. They are best known for their 1975 hit "Walking in Rhythm", which received a Grammy nomination. 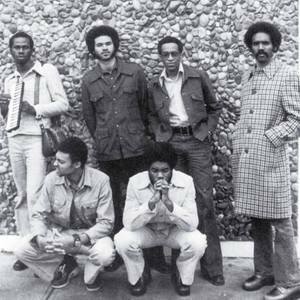 Their 1975 song "Rock Creek Park" from the City Life album has been sampled numerous times by groups such as De La Soul, Eric B. & Rakim, Big Daddy Kane, NWA, Massive Attack, Ice Cube, Heavy D, Nas and Grandmaster Flash & the Furious Five. The song has also appeared on the soundtrack to the popular video game Grand Theft Auto: San Andreas.